Since 1971, the Arms Control Association is proud to have played a part in advancing and securing major arms control and nonproliferation successes that have helped avoid bad situations from becoming much worse. The Arms Control Association has shown it can deliver authoritative information, ideas, and analysis that help shape the public policy debate in Washington, across the United States, and around the world. 1971: Arms Control Association is founded by leading military, defense, and diplomatic officials involved in the early years of nuclear and chemical arms control and nonproliferation. 1974: Arms Control Today debuts as the new name of the journal of the Arms Control Association. 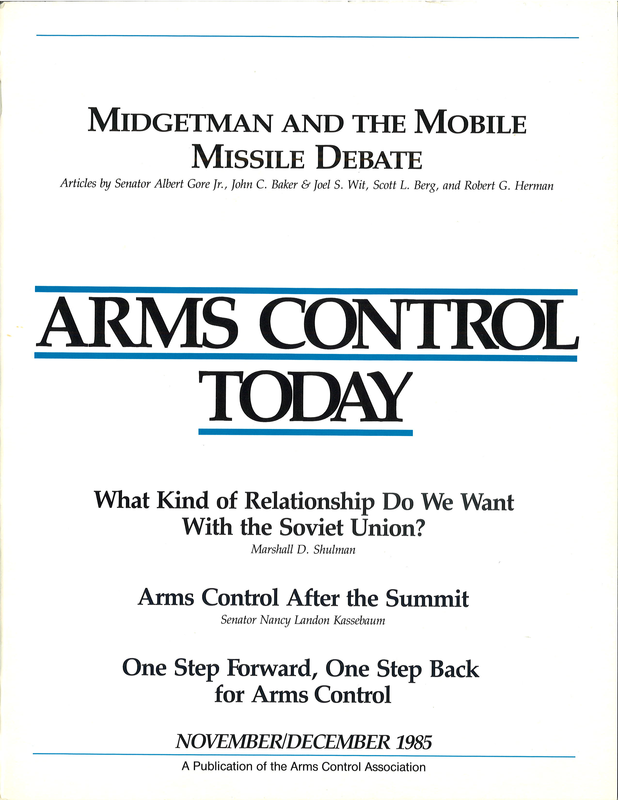 1976: Arms Control Today publishes arms control questions and answers with presidential candidates Gerald Ford and Jimmy Carter. This inaugurates what will become a regular feature in presidential election years. 1977: The Association co-hosts the first of several annual international meetings for young arms control analysts and scholars (New Faces Conferences). The Arms Control Association itself becomes a training ground, helping to launch the careers of many men and women who later served in high government positions. 1979: President Herbert Scoville, Jr. helps to lead non-governmental opposition to the MX ICBM and two years later publishes MX: Prescription for Disaster. The Arms Control Association publishes Negotiating Security: An Arms Control Reader, the first of many books and studies. 1982: The Association helps organize Ground Zero Week to educate the public about nuclear weapons, nuclear war, and arms control solutions at a time of high U.S.-Soviet tensions. 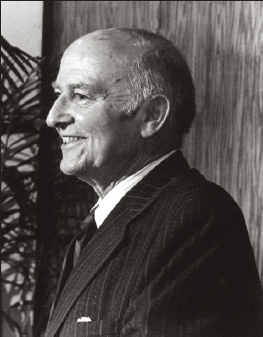 1983: The Association commemorates the 20th anniversary of the Limited Test Ban Treaty by honoring its chief U.S. negotiator, W. Averell Harriman, and calls for the renewal of comprehensive test ban talks. 1984: The Association helps establish the National Campaign to Save the Anti-Ballistic Missile (ABM) Treaty and warns against the destabilizing and costly impact of the Strategic Defense Initiative. 1986-87: The Scoville Visiting Lectureship program is launched and the Association serves as a host for the Scoville Peace Fellowship Program to bring young scholars into the field. 1989: The Association publishes the primer, Arms Control and National Security: An Introduction. 1991: Arms Control Today receives the 1991 Olive Branch Award for “outstanding” coverage of international security for a notable series of articles on the potential for terrorist acquisition of nuclear weapons material in the former Soviet Union. 1994-95: The Association plays a major role in the Campaign for the NPT supporting the accord’s indefinite extension and strengthening of the nuclear-weapon states’ commitments to nuclear disarmament, including the Comprehensive Test Ban Treaty. 1997: www.armscontrol.org is launched, making Arms Control Today and other research products available to tens of thousands more readers on the Web. 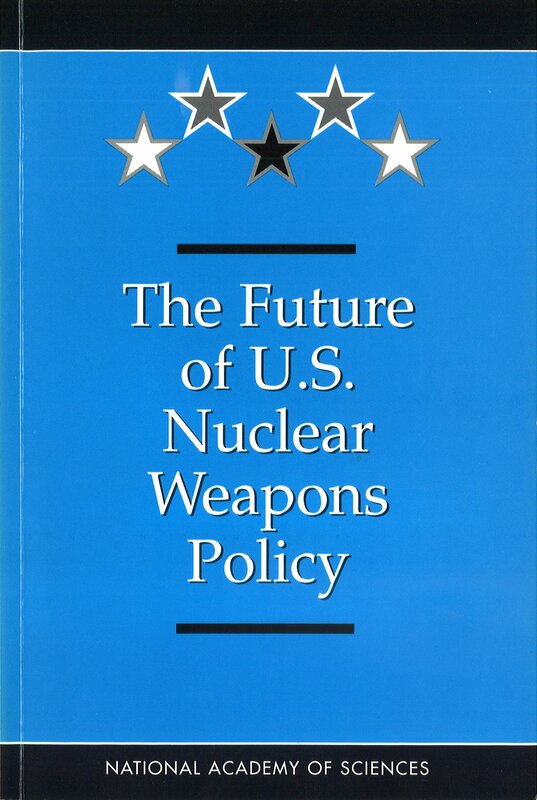 1997: Executive Director Spurgeon Keeny, Jr. and several Board Members serve on National Academy of Sciences study panel on the Future of U.S. Nuclear Weapons Policy, which recommends reducing U.S. nuclear weapons to fewer than 1,000 warheads. 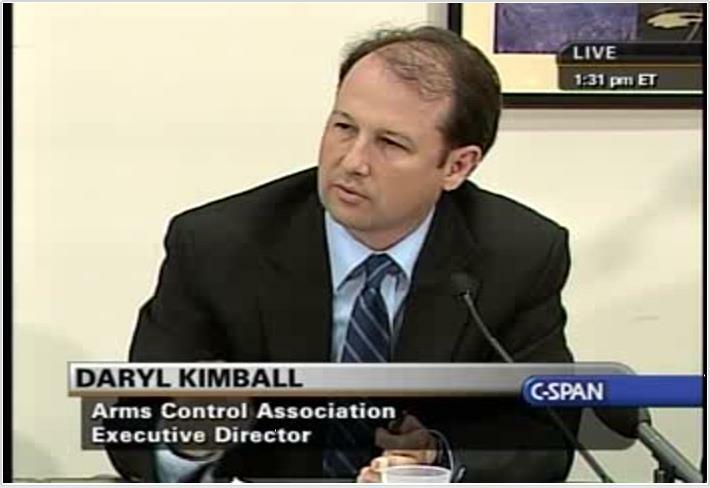 1997-2000: The Association and other members of the Coalition to Reduce Nuclear Dangers wage a high-profile, but unsuccessful, bid to win Senate approval of the Comprehensive Test Ban Treaty and preserve the Arms Control and Disarmament Agency as an independent entity under new Executive Director Daryl G. Kimball. 2001: The Association exposes and helps counter efforts by administration hardliners to repudiate the U.S. signature of the Comprehensive Test Ban Treaty. 2002: The Association becomes the leading nongovernmental critic of the George W. Bush administration’s decision to withdraw from the ABM Treaty and to pursue new nuclear capabilities to destroy non-nuclear targets. 2002: The Association publicly urges the United States to restart talks with North Korea on implementation of its nonproliferation commitments and to avert a restart of its weapons program. 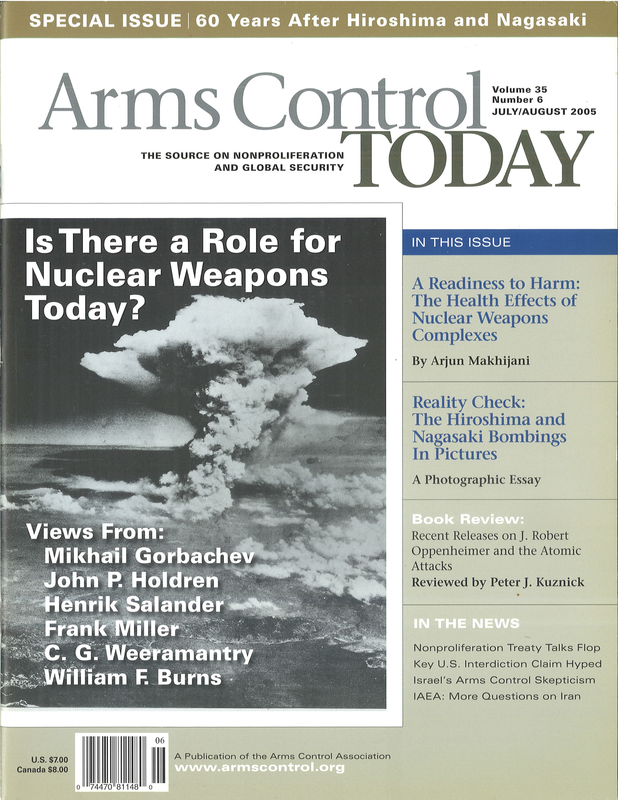 2002: Arms Control Today publishes a special report on the history, findings, and status of arms inspections in Iraq; urges continued inspections to eliminate prohibited weapons and missiles. 2003: The Association draws national attention to Bush administration’s “cherry-picking” of National Intelligence Estimate on Iraq at press conference featuring former intelligence officials. 2003: Arms Control Today publishes a seminal article by a group of physicists and diplomats on the negative impact of new U.S. earth-penetrating nuclear weapons, sparking key members of the House and Senate to launch a campaign to stop the proposal. 2004: Arms Control Today is redesigned for the first time in nearly two decades. 2005: Launch of the Association’s “Campaign to Strengthen the NPT,” which builds bipartisan support for a comprehensive U.S. nonproliferation strategy ahead of the 2005 NPT Review Conference. 2005: The Association publishes the influential report What Are Nuclear Weapons For? by Dr. Sidney Drell and Amb. James Goodby for steep nuclear reductions to 1,000 strategic warheads. 2005-08: The Association leads a diverse national and international coalition of NGOs and experts against exempting India from U.S. and global nuclear trade restrictions that almost tipped the balance against the deal. 2006: The Association publishes an analysis highlighting the risks posed by a planned Iranian reactor at Arak capable of producing large quantities of plutonium, which prompts New York Times coverage and action by IAEA member states to stop technical assistance for the project. 2007: The Association develops a detailed legislative proposal for a comprehensive strategy to strengthen the nonproliferation and disarmament system, which is embraced by Sen. Barack Obama and Sen. Chuck Hagel and introduced as S. 1977 in August 2007. The bill became the blueprint for President Obama’s nuclear risk reduction strategy outlined in his speech in Prague in 2009. 2008: The Association publishes reports and articles by staff and by Board Member Rose Gottemoeller that provide ideas for negotiation of a new strategic arms reduction treaty with Russia beginning the following year. 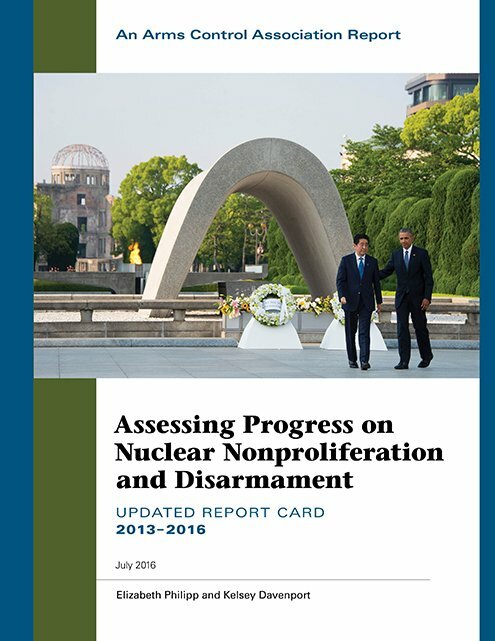 2008: Arms Control Today publishes an extensive Q & A with president-elect Barack Obama on his views and policies on nonproliferation and disarmament. 2009: The Project for the CTBT is created to coordinate public and policy education efforts on the CTBT. At request of the Presidential Transition Team, Association staff provide recommendations for test ban policy. 2009: The Association augments its research staff and launches new projects and reports with a focus on resolving threats posed by the Iranian nuclear and missile programs, improving nuclear material security, and security ratification of the Comprehensive Test Ban Treaty and New START. 2010: The Association plays a leading role in the nongovernmental effort to build public understanding and support for the New Strategic Arms Reduction Treaty, which is narrowly approved by the Senate. 2010: The Association launches a series of conferences in Brussels, Warsaw, Ankara, and Washington on revising NATO’s nuclear policy and the future of U.S. tactical nuclear bombs in Europe. 2011: The MacArthur Foundation recognizes the Arms Control Association as an “exceptional organization that effectively addresses pressing national and international security challenges” with an “impact that is disproportionate to its small size,” and provides a major capacity-building grant. 2011: Following ratification of New START, the Association draws attention to the excessive cost and scope of U.S. plans to modernize all three legs of the nuclear “triad” and provides a detailed blueprint for achieving tens of billions in budget savings at current and lower nuclear force levels. 2011-16: The Association launches a series of widely-praised research reports that document—and seek to hold governments accountable—to the milestones and commitments agreed at their Nuclear Security Summits. 2012-17: The Association helps establish a 21-member U.S.-German-Russian experts commission to maintain an ongoing dialogue on how to address the growing obstacles to deeper nuclear weapons cuts. The Commission's reports and papers provide a practical plan for how Russia and the West can step back from the brink and renew dialogue and restraint. Association staff launches the “P5+1 and Iran Nuclear Talks Alert” e-newsletter, which becomes the “P5+1 and Iran Nuclear Deal Alert,” and closely monitors the Iran nuclear talks on site in Vienna, Geneva, Lausanne, and New York, and provides regular updates and commentary read by nearly 8,000 reporters, analysts, and policymakers. 2014: The Association rolls out an expanded and updated version of its www.armscontrol.org website for its growing audience of some half-million visitors each year. 2014: Through the leadership of Board Chair John Steinbruner, the Association facilitates an historic U.S.-Iranian Religious Leaders Dialogue on the moral questions of nuclear weapons, which brought together top U.S. Catholic Bishops and Iranian clerics and produced a joint statement. 2014: The Association hosts the first Jonathan Tucker Conference on Chemical and Biological Arms Control with a special focus on the successful UN-OPCW mission to remove 1,300 tons of chemical weapons agent from war-torn Syria. 2015: The Association organizes statements demonstrating the overwhelming expert support for the Iran deal and becomes a go-to source for Congressional staff, as well as a diverse network of pro-diplomacy organizations, thereby helping to secure the Congressional support necessary to implement the agreement. 2016: The Association launches a new “Arms Control” app for smartphones and tablets to help expand reach to the growing number of readers worldwide. 2016: After months of campaigning by a broad network of organizations, including the Arms Control Association, President Barack Obama became the first sitting U.S. president to visit Hiroshima, the site of the first atomic bombing. 2016: Prompted by a research and advocacy campaign led by the Arms Control Association, along with the Stimson Center, the UN Security Council adopted Resolution 2310 on Sept. 23, which reinforces the global norm against nuclear testing and calls for action on the Comprehensive Test Ban Treaty (CTBT) on the 20th anniversary of the opening for signature of the treaty. 2007-2017: Each year for more than a decade, the Association has recognized and the public has voted online for the “Arms Control Person of the Year” to recognize work of key leaders and institutions that have advanced effective arms control, nonproliferation, and disarmament solutions, and/or raised awareness of the threats posed by mass casualty weapons.